By default, if you have an OS X device that’s connected to both Ethernet and Wi-Fi, it should prioritize the Ethernet connection over the Wi-Fi one. Sometimes it gets wonky though, in which case you’ll always be on Wi-Fi no matter what. Here you can drag-and-drop each item to change the priority order of your internet connections. Move Ethernet to the top to get the system to always use Ethernet over Wi-Fi when both are active. Wi-Fi will be a backup. Click OK and then Apply and you’re done! 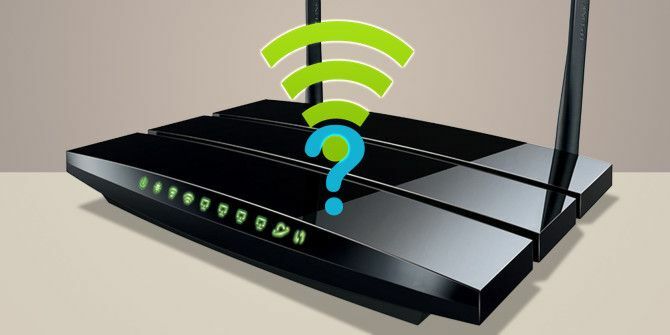 This is especially useful for when your Wi-Fi is unstable How to Fix a Slow or Unstable Wi-Fi Connection How to Fix a Slow or Unstable Wi-Fi Connection One simple trick could speed up your Wi-Fi connection. We explain the issue, how to analyze Wi-Fi networks around you, and how to use the information to speed up your Wi-Fi connection. Read More , but it’s also a good solution when your Wi-Fi is slow in general 4 Reasons Why Your Wi-Fi Is So Slow (And How to Fix Them) 4 Reasons Why Your Wi-Fi Is So Slow (And How to Fix Them) Suffering from slow Wi-Fi? These four issues can slow down your network. Here's how to resolve them to get speedy again. Read More and there’s nothing you can do to improve the speed — when even this trick won’t work How to Boost Your Wi-Fi Speed Up to 5x With One Quick Fix How to Boost Your Wi-Fi Speed Up to 5x With One Quick Fix If you're having trouble with your Wi-Fi speed, there's one quick fix that only takes a minute but could significantly boost performance. You should try it ASAP! Read More ! Do you have any other kinds of internet trouble on Mac OS X? Tell us about it in the comments, along with any solutions you may have. Explore more about: Internet, Troubleshooting, Wi-Fi. Neat. Thanks for sharing - will be put to good use.